Jason Paden is the West Coast Operations Manager at Dunlop/Race Tire Service, a long time riding coach with the California Superbike School, former AFM, WSMC and AMA Racer, and father of two little rippers. 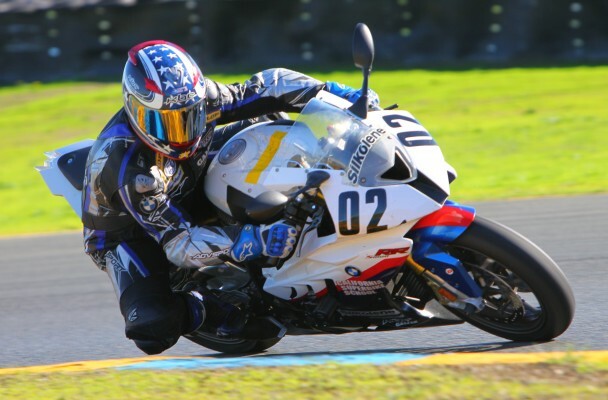 Here we ask him a few questions about Dunlop Race Tires, and youth motorcycle racing. 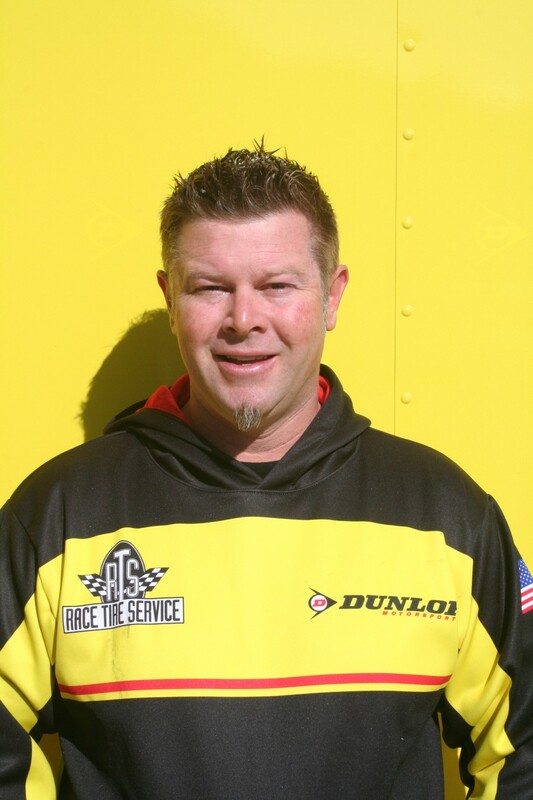 Q: In March of this year you took a new position with Dunlop as part of the West Coast Trackside Service Team. How did your first season go? What is it like traveling to the AFM/OMRRA and WMRRA races? A: My first season went very well. I met many new people and learned a bunch throughout the season. For me, the AFM is close and my original home as a young racer so it’s easy. I made about 15 round trips to the North West this year and spent a lot of time on the road to get to those races. I have been traveling for races and coaching. It’s just what has to happen to get there. Q: What is the most rewarding part of this job? Toughest part? A: The rewards are all about pulling from my experience to help make decisions that allow guys to win or set track records. Toughest part would be loosing to the competition. Q: What is the biggest misconception about race tires? A: It would be that people think a race tire has some magical chemical reaction that occurs when a tire warmer is put on it to make it work properly. Race tires are no different than street tires in the way they need to be used when new or cold. Q: What is the proper method for warming up cold tires at the track? A: Without warmers? 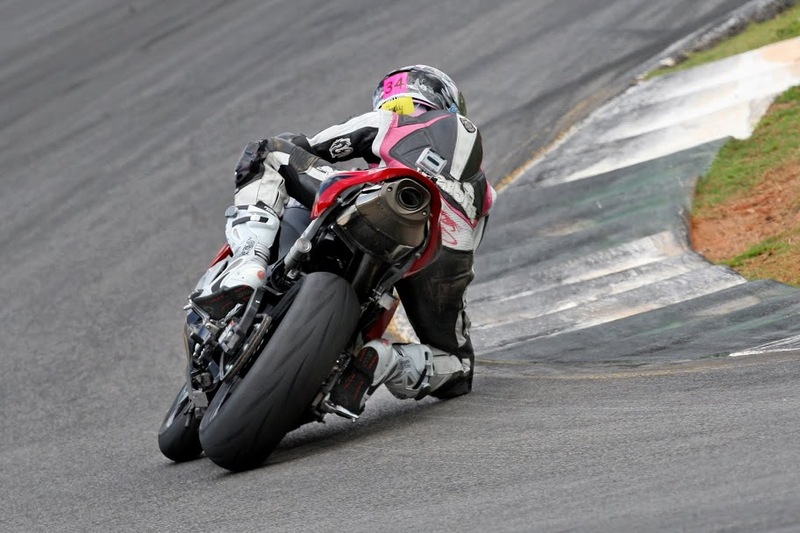 The proper method would be to cautiously go about the first corners using very little lean angle at first, keeping in mind the direction changes (left or right), then in each subsequent corner, adding more and more lean angle as the lap progresses. I often recommend guys give it a good 2 laps if they don’t have warmers on. I raced in an era where warmers weren’t an option for club guys or national privateers until the end of my career. I spent a lot of time racing at Willow Spring where you have only 3 lefts and 6 rights. You had to get good at going as fast as you could to get the tires warm on the warm up lap without falling down. Q: If you had to give a quick tutorial on race tires to someone that didn’t have a clue, what would you say? A: They can grip about 15-20% better than street tires but don’t have the same mileage capabilities. Dunlop builds DOT race tires with a harder compound centre band however, so the race tire actually does totally fine on the highway. Q: Do you still race yourself? The last time I raced was in 2002 on a 600 with the WSMC. Q: How does your own riding experience help you interact with the racers you deal with at the track? A: My experience is a huge part of dealing with racers at the track. Most of the guys are stilling learning that I am not just a tire guy. I am super competitive and like to pull from my experience to help in any way I can to drop lap times. Q: What do you wish more people knew about motorcycle tires? A: I understand that many are on budgets and want to get all they can out of a tire but I wish that guys wouldn’t push them till the very end. Trying to set up a bike to go fast on used tires is very hard and although a tire may feel fine, they are always amazed at how much better the new set is after they ride it. Q: How have motorcycle race tires evolved over the years? What is different now compared to 10 years ago? A: Tires have come a long way. Dunlop is uses NTECH (New Technology) in both the US and UK tires which allows a much lower pressure on the rear tire to create a larger contact patch and better grip. Q: Ok, I’m switching topics here a little bit. 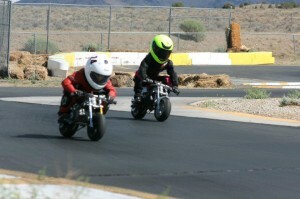 You have two kids that ride and are involved in Minimoto USA racing. 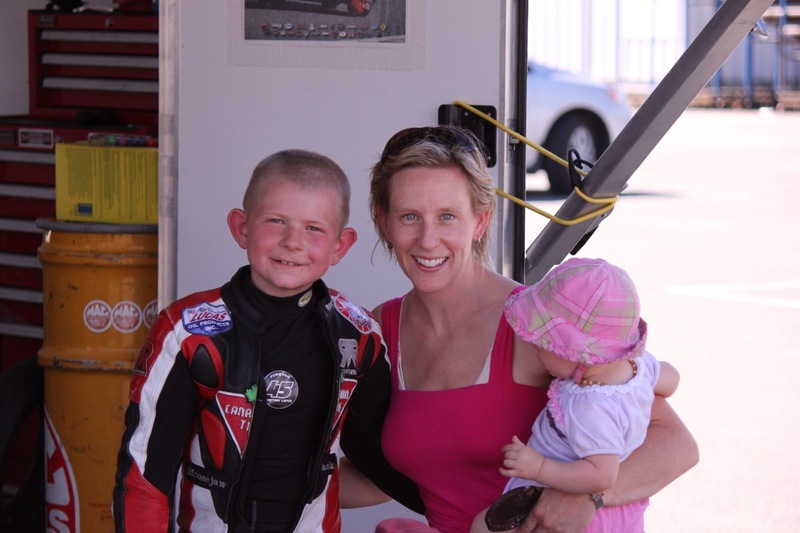 What do you suggest for parents wanting to get their kids involved in motorcycle racing? Where should they start? A: There are numerous avenues… minimoto, supermoto, mx, flattrack and also BMX. All of them have benefits and no drawbacks for the future if one ultimately wanted to roadrace. I think a background in the dirt is important for a younger person to have as they learn to slide and let the bike move around underneath them. If you look at the background of any of the top racers today and in the past they all went through the above mentioned disciplines. No matter the route, the more time kids have riding and getting comfortable with the control actions and the way a bike works is going to pay off down the road. Q: Many people say that young kids should not be racing motorcycles or be involved in any motorized sports. What are your thoughts on this? A: I have been around this sport a long time and enjoy seeing the family environment and comradery that is built in this environment. It is second to none and an amazing sport to be involved in. Yes, it’s dangerous and part of the reason why some like it so much. I have not been able to compare the excitement to anything and if kids want to try it, they should be allowed. I personally was allowed to try almost anything I wanted and have done the same with my two kids. Racing is an experience that has made me who I am today. Jason’s kids, Jax and Siona riding Reno. 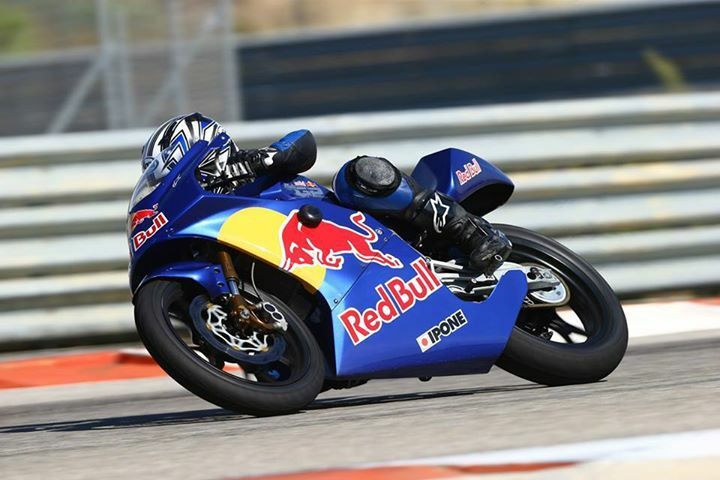 Q: How is motorcycle racing for kids and youth different in North America compared to the rest of the world? A: In the USA, motocross has huge involvement all around the country. Road racing, flattrack and supermoto are not at that same level here. Spain and Italy both have great series for youth road racing but I don’t think they have a huge seen for MX. Motorsport as a whole in the USA is not as big as other parts of the world. Q: If you were a motorcycle what would you be? A: I would be a TZ 250! A Purpose built, lightweight, race machine with less than 100 HP that is not terribly easy to ride fast. A: Anyone interested in road racing should go check out some track days and then go get their Novice Roadrace license and start racing. Youth or adult, the enjoyment and accomplishment is well worth it.